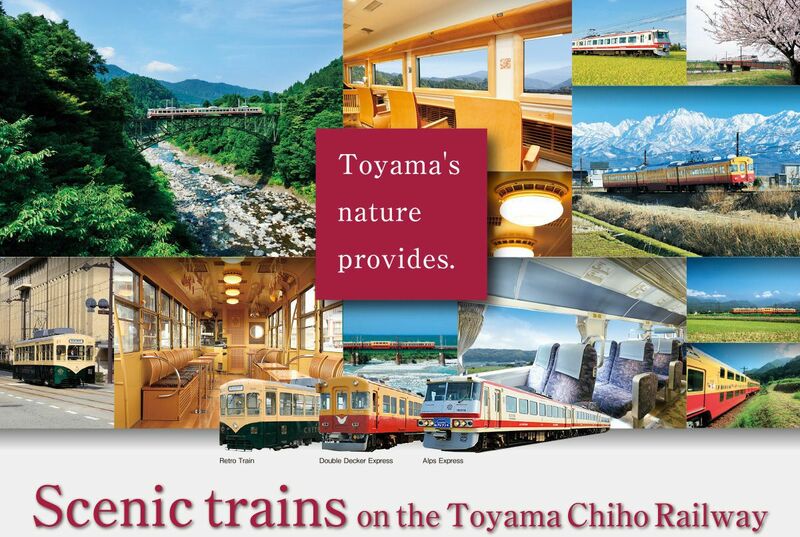 Scenic Trains | TOYAMA CHIHOU TETSUDOU INC. 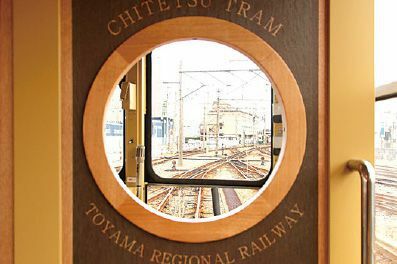 Specially designed scenic trains run on the Toyama Chihou Railway to provide the most enjoyable views of scenery along the tracks. 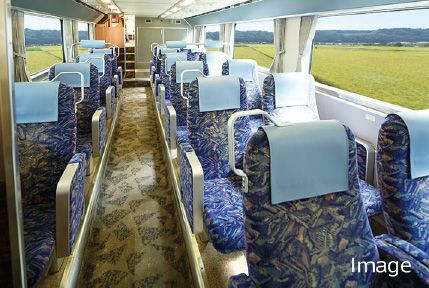 Among the many options available are the Alps Express with its wide windows and drink bar, the Double Decker Express, and the retro train that gives passengers a nostalgic feeling. Take a different train every time to make the memory of your travels more vivid. 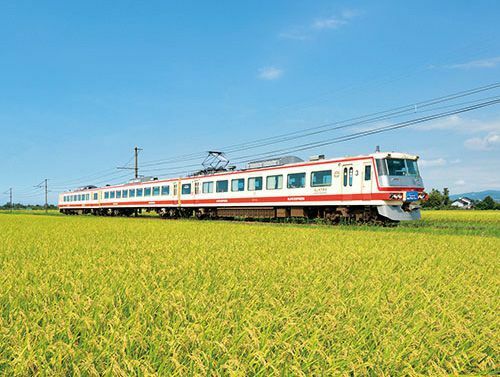 Enjoy the majesty of Toyama's nature from a scenic train. 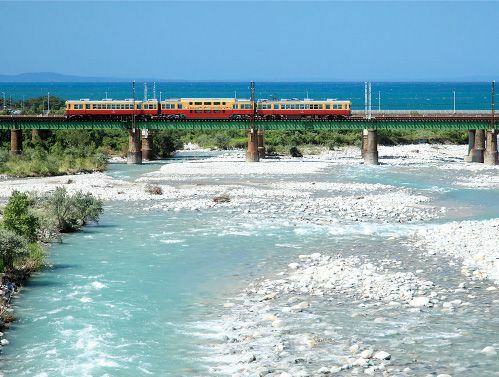 Travelers will find a world of bounteous nature just off the tracks of the Toyama Chihou Railway, from the wide-open Toyama Plain to the magnificent Tateyama mountain range, Toyama Bay and its famous mirages, and Unazuki Hot Springs. The Alps Express is a scenic train designed with a motif signifying a harmony with these natural surroundings. Through the liberal use of trees for the interior design, a warmth and rich sense of luxury touch the heart of travelers. 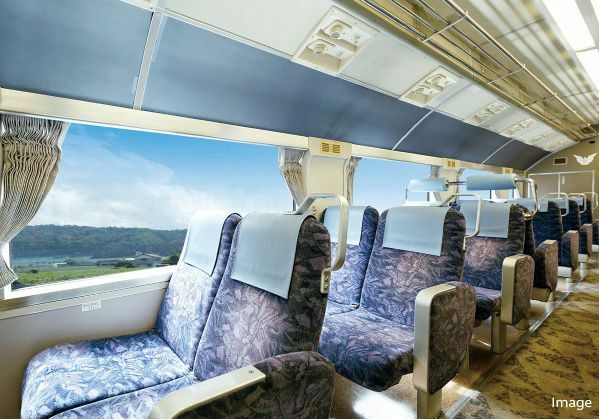 Travelers have an extensive variety of seats to choose from, including counter seats that face outside and give a full view of the scenery going by, loveseats for two people enjoying a trip together, compartment seats that sit four across, and bench seats. 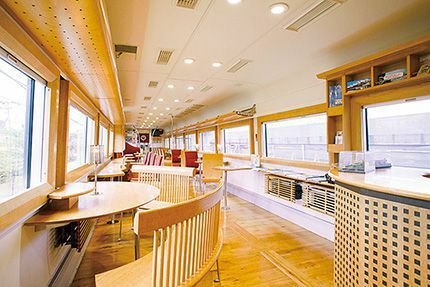 From the attendant, you can purchase everything from locally-brewed sake and beer to soft drinks and goods only sold on the train. Like Car 2, wood flooring gives a bright, natural feeling. There are high chairs for children and even 4-seater compartment seats with tables. 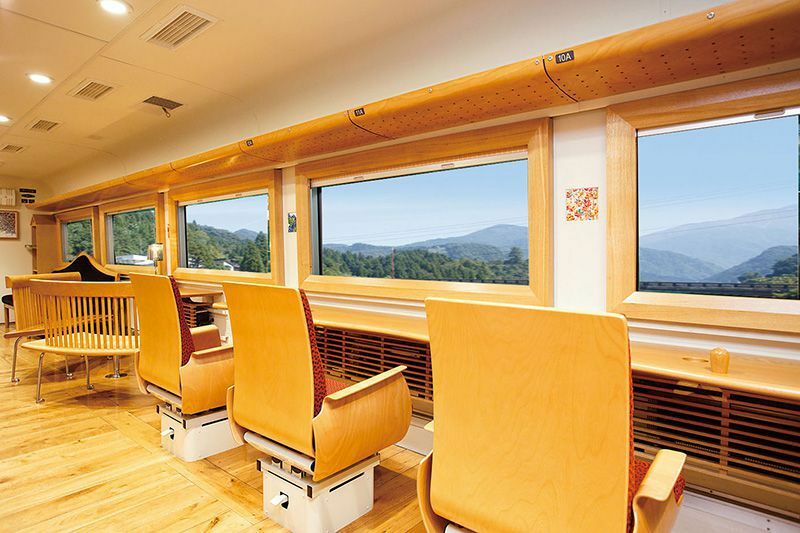 This three-car scenic train features two decks in the center of the train. These trains are a redesign of Keihan Electric Railway's limited express trains. Seats on the second deck put you up more than 1 m higher than on a normal train, giving a view of scenery not normally possible from a train window. Enjoy panoramic views of the glorious Tateyama mountain range, different in each season. An expansive seat pitch lets you kick back and relax. Eye level is about the same as a train platform. This affords a unique field of view not possible on a normal train. 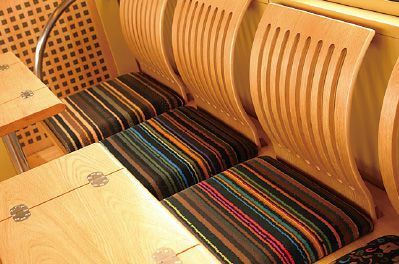 Colorful seats and large windows give a feeling of openness. Being up more than 1 m higher lets you see farther than normal. 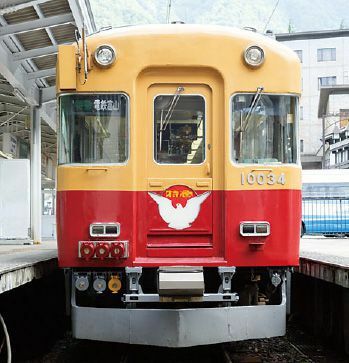 The design on the front car borrows Keihan Electric Railway's pigeon logo. On the side of the car is a long mural depicting a procession from the Jidai Matsuri, one of the three largest festivals in Kyoto. 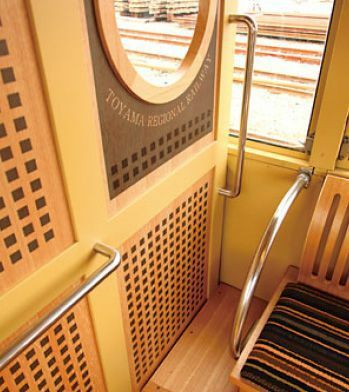 A new scenic tram running throughout the city of Toyama. 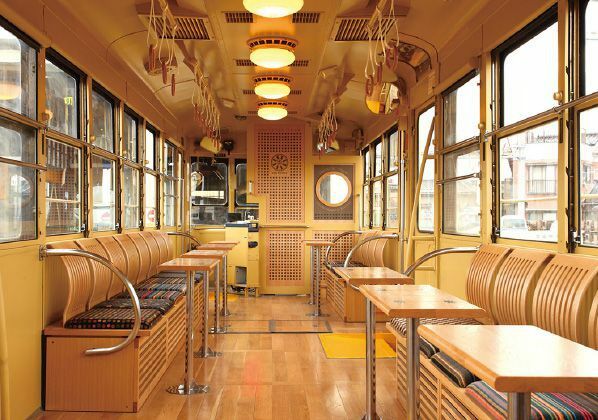 Based to preserve the appearance of a trolley in the olden days, these trams were redesigned into scenic trains from existing 7000 series trains built in 1965. 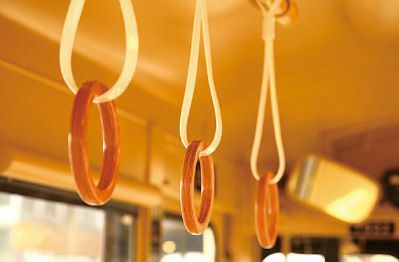 The warm atmosphere inside comes from the liberal use of trees in the design, a design where attention to detail shows through in things such as the wooden train strap rings and lights that were actually used in the original trains. 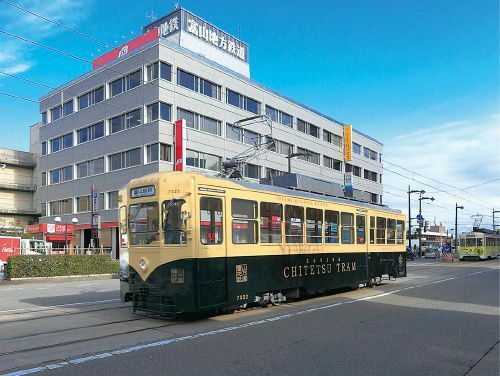 These trams, which service the city of Toyama on the standard train timetable, make 6 roundtrips a day and 12 roundtrips on Saturdays, Sundays, and national holidays on routes 1 and 2 (non-loop routes). Standard fares apply for these trains. The many trees used in the interior design soothe the mind with a sense of tranquility and warmth. 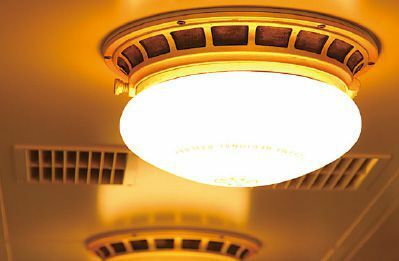 The lights in the ceiling are the same as those used in the old trains.